By now you’ve probably heard about iBeacon and how it brings proximity and context marketing into the off‑line world. Introduced by Apple in 2013, iBeacon (based on Bluetooth Low‑Energy protocol) quickly became the next big thing in the tech world. And unlike some “next big things”, this one was no flash in the pan. On the contrary, its popularity only increased until in 2015 another tech giant, Google, hopped on the bandwagon and presented its own version of iBeacon: Eddystone. Two titans of the tech world battling it out. Compelling, no? Let’s dive in and break down how this mysterious, uber‑popular Bluetooth LE technology works and why it provides such huge opportunities — especially for marketing. The name iBeacon perfectly captures this technology’s raison d’etre – indeed, it’s a “beacon” for all of your mobile electronic devices: smartphones, tablets, and everything in‑between. But instead of functioning like a beam of light emitted by a lighthouse, iBeacon uses a Bluetooth signal to help a device within a certain range know what’s around, and creates push‑notifications for stores and retailers within the device’s range. Is your “marketing success‑sense” tingling? It should be! How does iBeacon work, and how does it differ from regular push‑notifications? iBeacon’s simple construction is the product of its single function: to send Bluetooth signals containing a universally‑unique identifier (UUID). When a mobile app is developed, UUIDs can be integrated and associated with certain places, i.e. “Anderson’s bookshop in the mall”, or “Clara’s Boutique at the corner of Main Street and 1st Avenue”. If you’d prefer to avoid iBeacons altogether, you needn’t worry about your device being invaded by push‑notifications at every block. That’s because your device’s operating system “ignores” any and all beacons until you install an app that’s relevant to a particular beacon and its UUID. 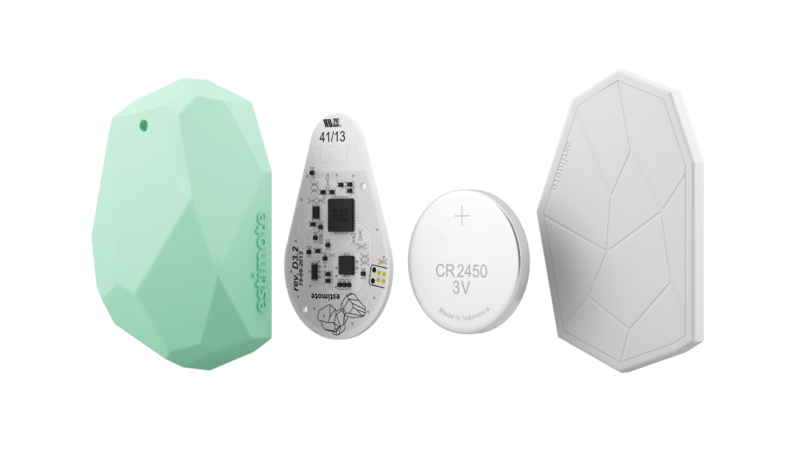 We know what you’re thinking: why do we need all of this iBeacon Bluetooth hocus‑pocus if we already have GPS, geolocation, and regular push‑notifications? Well, here’s the thing: for those technologies to run push‑notifications the same way iBeacon does, the application would need to constantly run in the foreground. You may be ok with this, but your phone won’t be. Any app that’s always in the foreground will zap your battery life in a blink, especially with geolocation turned on. Also, geolocation has its limits. It’s very precise outdoors, but not so much indoors. With iBeacon, the application starts only when needed, i.e. within a certain proximity of a beacon, so the battery isn’t nearly as affected. Also, Bluetooth LE (Low Energy), which iBeacon is based on, isn’t the same Bluetooth that drained your battery life like a parched vampire a few years ago. The technology has advanced leaps and bounds since then, and this is called “Low Energy” for a reason. 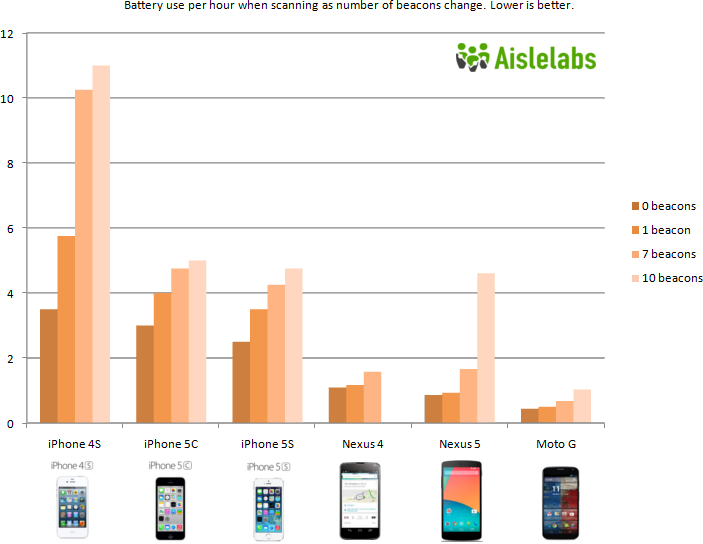 For an idea of the beacon’s impact on your device’s battery, see this graphic by Aislelabs, a Toronto‑based company providing data analysis services. Beacon technology, whose considerable upside includes indoor/outdoor accuracy, low battery consumption, and relatively cheap hardware, has proven itself to be extremely useful in numerous scenarios. The first one that comes to mind is, of course, marketing. Location‑based push‑notifications can enhance the customer experience by providing information on location‑specific deals and discounts, offering product recommendations, and alerting a customer when an order/item is ready for pickup. Beacons are also a powerful tool for creating push‑notifications based on proximity to points of interest. For example, if a museum curator places beacons near several museum exhibits and tunes the beacons’ range so they don’t intersect, an overview of the museum’s exhibits will be pushed to your device’s screen when you’re in range. Here’s another idea: to use beacons for creation of an Ingress‑like game, in which you have to virtually “capture” points of interest by interacting with them in the physical world. Beacons are also quite handy for indoor navigation. A great example is Estimote Indoor Location, an SDK created by Estimote, one of the world’s leading beacon manufacturers. Estimote Indoor Location allows for mapping a physical space and determining a person’s location in real‑time. Another great use for beacons is in crowded areas, where information on the number of people in congested “beacon zones” can be provided to the server‑side of an app. This information can then be analyzed and used to develop faster alternatives for app users wanting to avoid long queues. And these scenarios are just a start. The possibilities for beacons are limited only by the imagination. What alternatives exist to Apple’s iBeacon? Since 2013, when Apple unveiled iBeacon technology, many companies have co‑opted the idea and entered the “beacon business”. In 2015 Google extended beacons’ functionality so that devices using Google’s Eddystone protocol could broadcast three different information packages instead of just the one UUID. The first package type, Eddystone‑UID, functions just like an iBeacon’s UUID. The second one, Eddystone‑URL, is a compressed URL link that seeks to trigger a push event not in an application, but in the operating system itself. Instead of “pushing” a notification Eddystone‑URL “pushes” your device into following the link, which could take you to a promotional website or even prompt the installation of an app. The third package type is a sensor telemetry package called Eddystone‑TLM. This tracks and transmits statistics on the beacon’s health (battery life, temperature, etc.) to a beacon operator. Access to this type of information is very useful, especially if you have a significant amount of beacons running. Due to its proprietary nature, iBeacon is only compatible with iOS devices, even though it’s technically compatible with any device that supports Bluetooth LE. While iBeacon technology’s main aim is to provide a more seamless interaction with digital devices in physical spaces, Eddystone goes further in the attempt to unlock beacons’ untapped potential by adding URL broadcasting, a great new tool with lots of potential for location‑based advertising and statistics monitoring, which solves one of the main problems encountered by users who manage numerous beacons. However, “more” doesn’t always equal “better”, and in this case offering a wider features range doesn’t necessarily mean it’s best for the end‑user. From a skeptical point of view, Eddystone’s ability to push URLs directly into a device’s operating system, thereby bypassing the requirement of a dedicated application being pre‑installed, might make people feel like they’re losing control over their device and the content they receive. On the bright side, this might only be a problem for Android users since this powerful feature can be shut down by other operating systems whose users are keen to avoid the technology’s “intrusive” side. For instance, using the Eddystone‑URL feature on an iPhone will require you to pre‑install Google Chrome, despite Eddystone being open‑source, cross‑platform, and compatible with any device that supports Bluetooth LE technology. When it comes down to it, choosing between iBeacon and Eddystone is pretty much the same as choosing between iOS and Android. It’s all about personal preference, what you like and what you don’t. Ok, I’ll bite. How much do these beacons cost and how do they differ from each other? Beacons are available in a wide array of costs and technical characteristics. The price varies between $10 per piece for the cheapest option up to $30 — $40 for a beacon from a recognizable brand. A beacon’s range depends on its transmit power. A range of 70 meters is possible (not counting beacons specifically developed for long‑range broadcasting), but the average range is about half that. Transmit power and signal emission rate can be adjusted via the beacon’s settings, but be warned that these parameters will affect battery life. A good rule of thumb is the smaller the range and rate, the lower the battery drain. Depending on your settings, battery‑powered beacons can last from one month to two years on a “coin” cell battery. If you plan on maxing out your beacon’s potential, you might consider a USB‑ or AC‑powered beacon, provided there’s an outlet at the exact spot where you want the beacon placed. If not, it could be tricky. Day by day, the online world merges ever tighter with the physical. Beacons are another powerful tool with which to intermingle mobile devices and physical actions, making technology even more essential to our daily lives. At HireRussians, we love working with all kinds of new hardware, and we’re excited and grateful to be working on a few current projects that involve beacons. Bringing our clients’ cutting‑edge ideas to life is what we do best, and beacon technology is definitely cutting‑edge! We believe beacons have much untapped potential, and in the coming years we expect further expansion of their built‑in functionality, along with a large number of new use cases. If you have an upcoming project that involves beacons, congratulations — this is a great time to begin employing this handy technology to help grow your business. And who knows, maybe the solution we help you develop will be the one to change the world’s perspective on augmented reality!